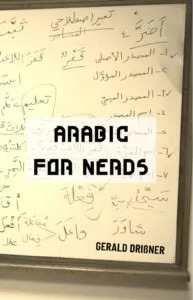 Did you know that one of the first cryptologists was an Arab? 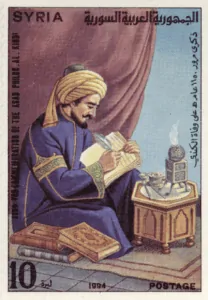 I recently was in Poznań, Poland, and learned by coincidence that one of the greatest Arab scholars, al-Kindī (الْكِنْدِي), was one of the pioneers of cryptology . I had visited the monument of Marian Rejewski, Henryk Zygalski and Jerzy Różycki. 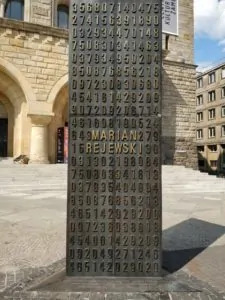 They were Polish mathematicians and cryptologists who cracked the secred code of the Nazi cipher machine Enigma which is considered as one of the most sophisticated cipher machines in history. Based on the Polish knowledge, the British scientist Alan Turing managed to build a huge computer that would finally crack the cipher. I personally found it very interesting that in the small Polish exhibition, a genius of the 9th century was also mentioned: al-Kindī (الْكِنْدِي). His full name was Abū Yūsuf Ya‘qūb bin Ishāq (أَبُو يَعْقُوب بن إِسْحاق الْكِنْدِي), known as the philosopher of the Arabs: failasūf al-‘Arab (فَيْلَسُوف الْعَرَب). What do we know about al-Kindī? He was of South Arabian descent which his name already indicates: Kinda (كِنْدة) was the name of an ancient tribal kingdom in the Najd (present-day Saudi-Arabia). Al-Kindī was born probably at the beginning of the ninth century (ca. 800/~185 AH) in Kūfa, where his father was a governor. He was educated in Basra and Baghdad, then the great centers of learning. Now, why did the Polish exhibition mention al-Kindī? Answer: Because he set a milestone in the field of cryptology: the frequency analysis . For almost a thousand years, from 500 to 1400, the knowledge of cryptology of Western civilization did not really progress. People used very basic systems which were mainly based on steganography. Steganography, in simple words, denotes that a secret message is being sent by concealing the contents of the message. For example, in ancient times, people shaved a messenger’s head, wrote a message on his head and waited until hair had covered it again, so that he could deliver the secret, hidden message. Then, in the 9th century, there was a breakthrough: The Arabs understood the importance of cryptoanalysis. Cryptanalysis is the science of unscrambling a message without the knowledge of the key and is based on finding weaknesses in encryption methods in order to break them. 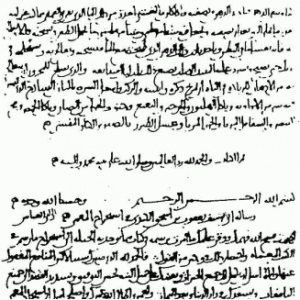 Why did al-Kindī work on cryptoanalysis? 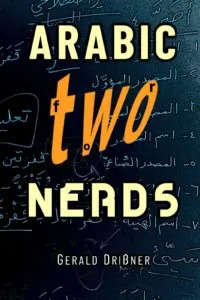 The Arabs and Persians, back then, were among the best mathematics and linguistics at that time. This was mainly because they tried hard to analyze every detail of the Qur’an. How did they do that? They did it step by step. First, Muslim theologians tried to extract a chronological order of the revelations. They did that by counting the frequency of specific words in every single verse because some words arose earlier in comparison to other words. Then, they analyzed the verses phonetically and at the level of single letters. They realized that some letters are not found next to each other, and that some like to be accompanied by certain letters. They discovered the rarest letters in Arabic and the most common letters: the letters Aleph (ا) and Lām (ل) are the most common in Arabic, whereas the letter Jīm (ج) appears only a tenth as frequency. When they put all that together, they made the first great breakthrough in cryptanalysis: the frequency analysis . How can that be used to decrypt/decode messages? If you start counting the frequency of letters and arrange them in that order, you suddenly have a cipher-tool to decode messages. Al-Kindī was probably the first scholar who wrote about that. His book Risāla fī Istikhrāj al-Kutub al-Mu’ammāh (رِسالة في اِسْتِخْراجِ الْكُتُبِ المُعَمّاَة) contains the oldest known description of cryptanalysis by frequency analysis. The title literally means On Extracting Obscured Correspondence. Nowadays, we could translate it as On Decrypting Encrypted Correspondence. In short: Al-Kindī was the first to note that encrypted messages could be cracked by using “ cribs “. A “crib” is a word or a set of words that is highly suspected to be in the message somewhere. For example, the Arabic definite article al (ال). 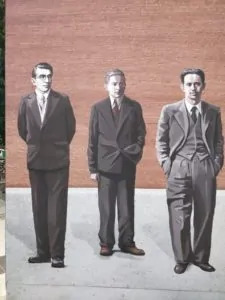 Remark: What happened to the Polish mathematicians? Historians say that cracking the Enigma shortened World War II dramatically, at least by two years. So why have most people outside Poland never heard about the Polish geniuses? Despite their help, history in many countries has largely ignored their role. The same happened to many Arab, Persian and Berber scientists who never got the fame they would have deserved in my opinion. The Hollywood movie The Imitation Game which tells the story of how the British mathematician Alan Turing cracked the Enigma barely mentioned the Poles. In 2014, the NSA (National Security Agency) honored Marian Rejewski by inducting him into the NSA Cryptologic Hall of Honour. Pictures: (c) Gerald Drißner; wikipedia. Note: This page was last updated on Jun 23, 2018 @ 9:24.